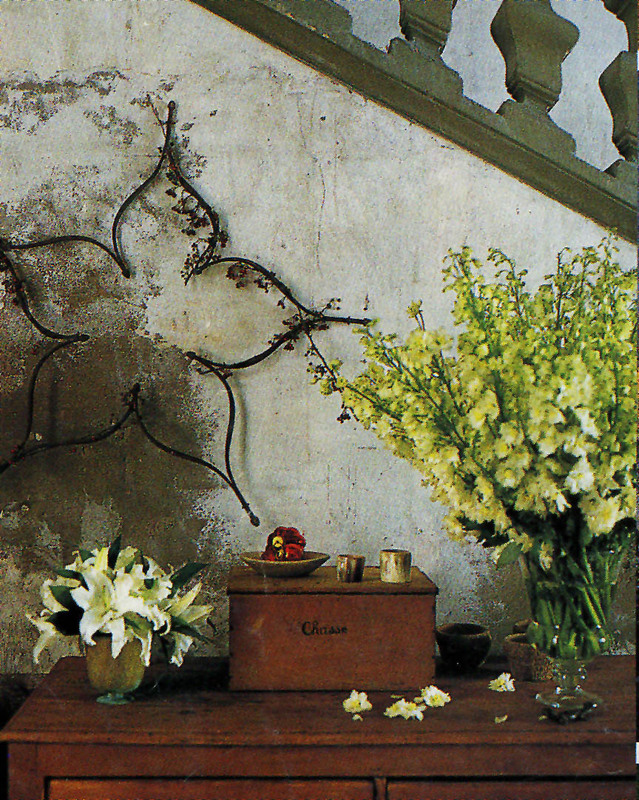 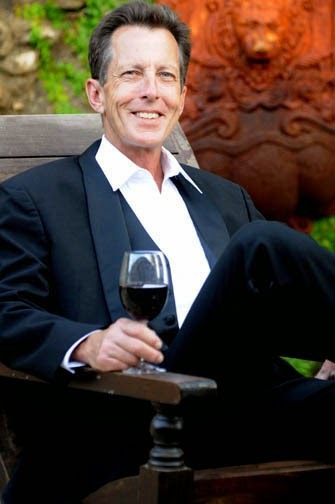 Christian Tortu is one of the leading floral designers in France. 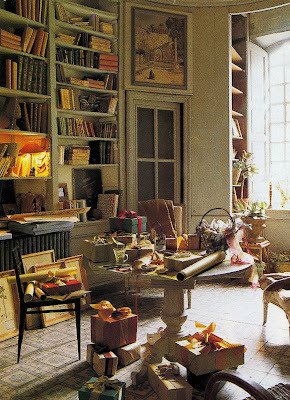 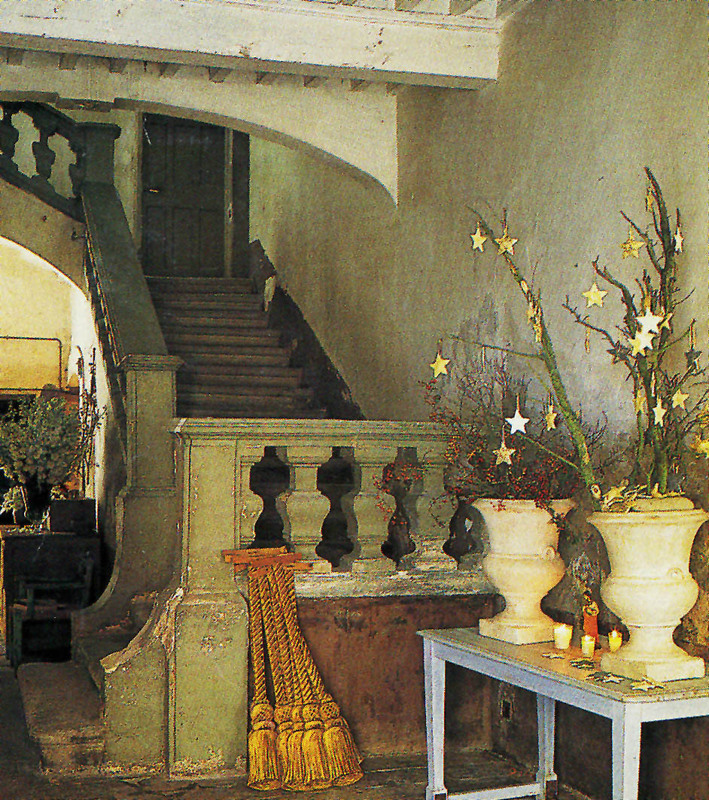 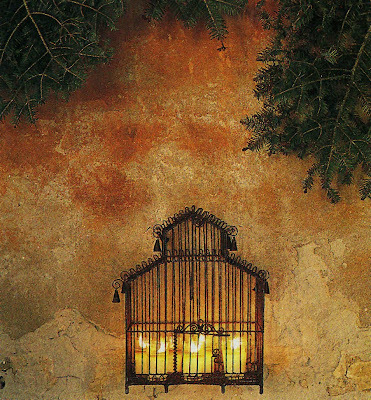 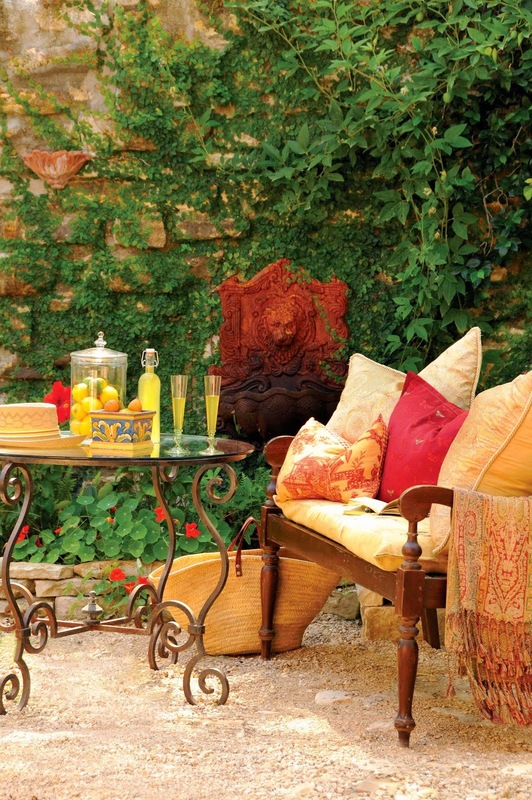 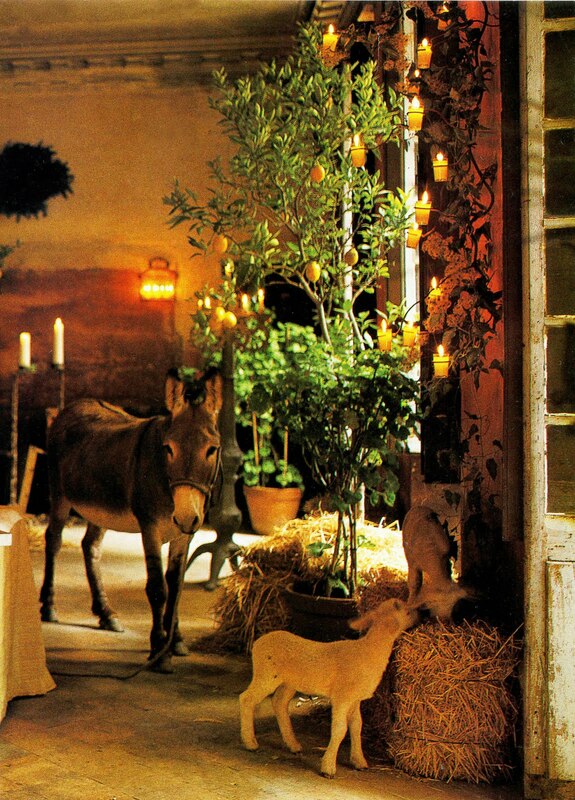 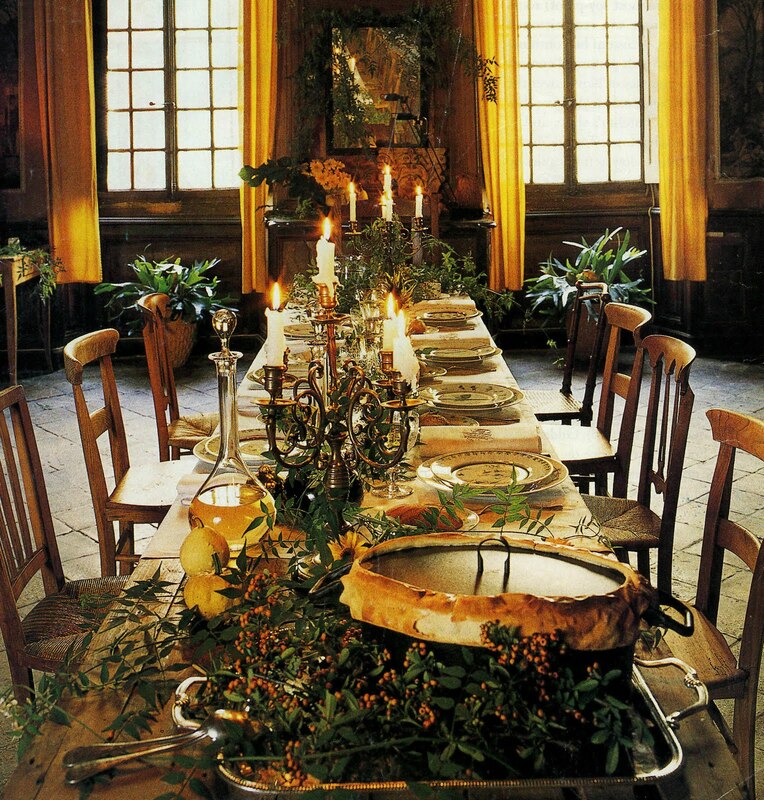 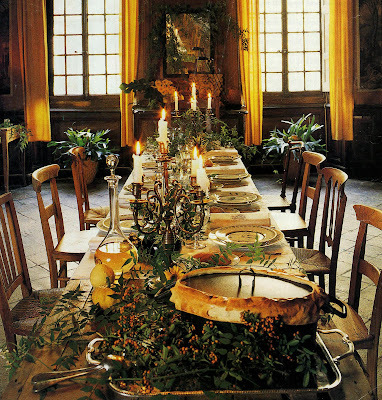 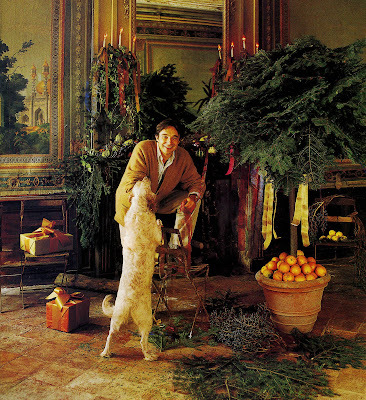 His creative approach to decorating his house in Noves outside Avignon, is always an inspiration to me. 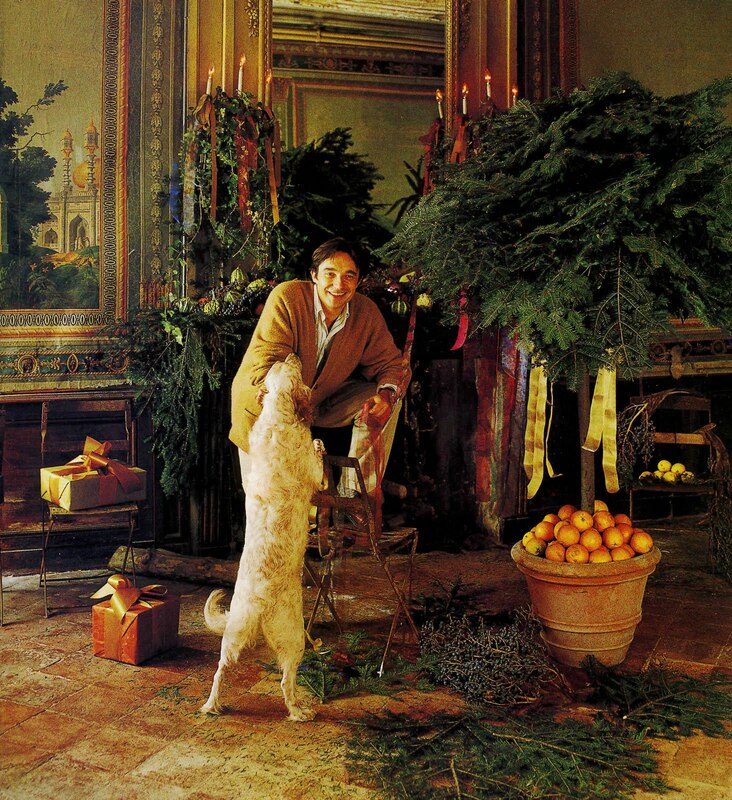 He takes the Christmas tree to a new level by inserting fir boughs into a bay topiary and surrounding the base with oranges. 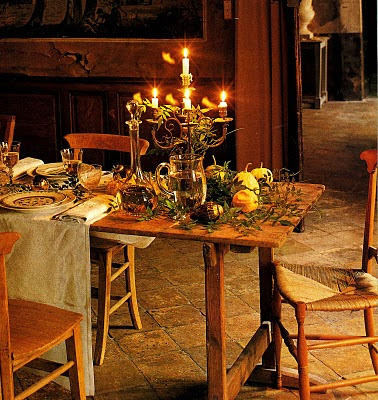 Olive branches and hand blown ornaments grace the table. 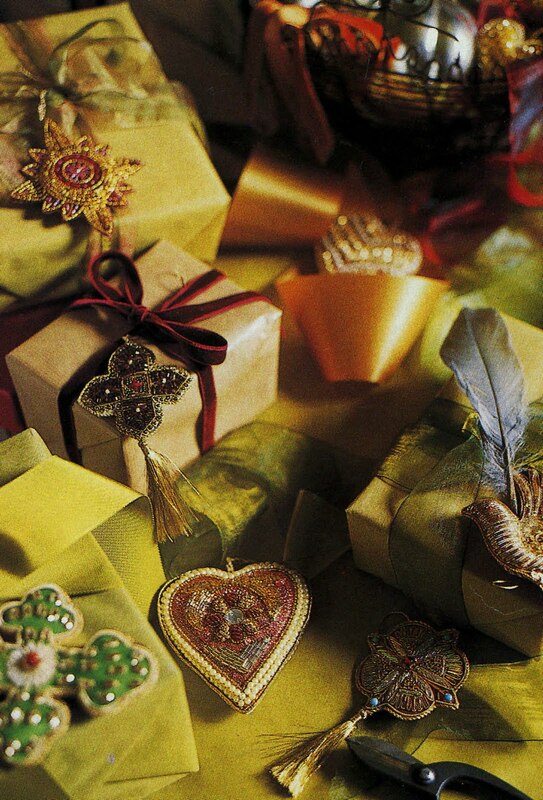 Presents are wrapped in beautiful paper and gorgeous ribbons in his library. Doesn't this look like a lovely place to spend Christmas?